The Final Touches In the New York Trade Show You’ve Been Dying To Know! BDNY 2017 is, sadly, almost over. The Boutique Design New York is in its full swing in its last day. When taking care of the needs of the design world, this New York trade fair of 2017 is so promising, full of inspiration and style. That’s why you can’t really miss this last touches of this amazing trade show in the city that never sleeps! YOU MIGHT ALSO LIKE: Get On The Train of BDNY 2017! When talking about what BDNY is all about you need to wonder what is like to be in the centre of what design is. Today, the last day of the New York Trade Fair is going to bring a swing of wonderful surprises for you to make the most of your day. Don’t Miss It! So, today is going to happen the most anticipated event of the trade fair: The Gold Key Awards Gala. The leading trade fair of the city that never sleeps is stepping up their game with the wonderful gala that is planned. Unfortunately, it’s already sold out, but count on with the best results! In 2017, BDNY brings to its costumers the 2017 Designed Spaces. The signature place provides the attendees with the experience of a lifetime. With several exquisite lounges, cafes and other gathering spaces for the attendees have a piece of the best hospitality interior design, the place was created by the design of several leading hospitality design firms using products from the multiple sponsor’s/ exhibitors of BDNY. Most of the attendees are having the time of their life. In one of the best exhibitor’s present in the trade fair 2017, in partnership with Coveted, DelightFULL is having the time of their life. If you’re around, don’t miss the opportunity to take a look and say hello! Get On The Train of BDNY 2017! Boutique Design Idea is here and we have the best booth for you to go to! With Winter fast approaching the city that never sleeps is making the comeback of the comeback’s: BDNY 2017. The Boutique Desing New York will make its presence known for the eight years in a row, and with that, the most luxurious brands will make their presence known throughout the whole coverage of the New York Event. So… don’t wait around! Come and see what we have in store! The Boutique Design New York is making its comeback to the NYC Javits Centre and this year with many surprises in store for you! Growing and growing each year passing this NYC Trade fair makes everyone fall in love while you have the best of both worlds: Design and Inspiration. In previous years luxurious brands, such as Boca do Lobo, DelightFULL, Brabbu made their interior design shine through the whole trade fair. With fantastic design and inspiration, last year was a blast. DelightFULL has been a known presence in the world of trade fairs. 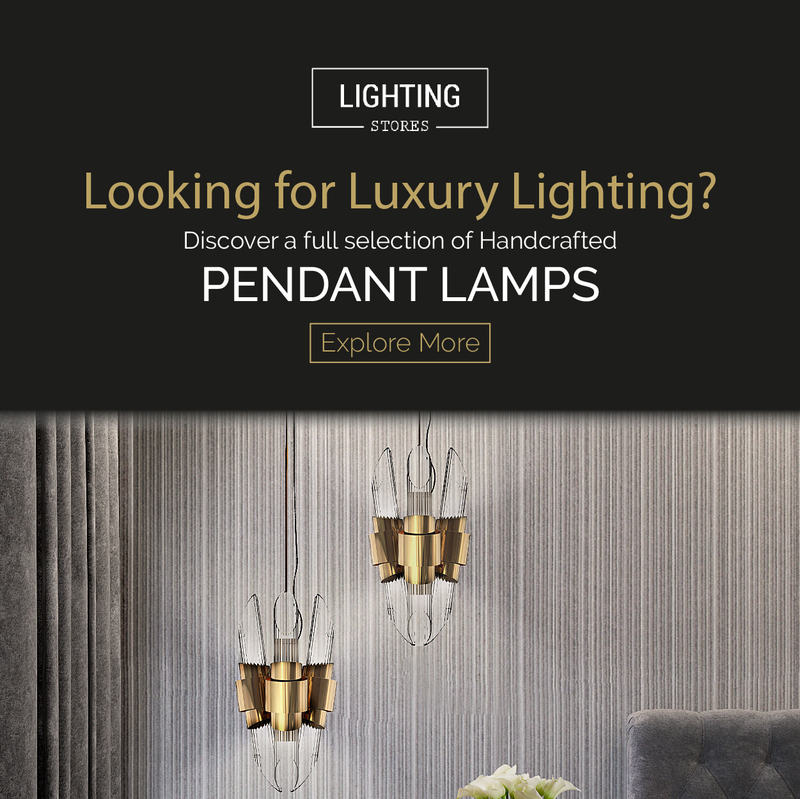 This year the luxurious lighting brand is making its comeback in Booth 844. The place where designers, design lovers, press, bloggers decide to meet up and make the best of both worlds. 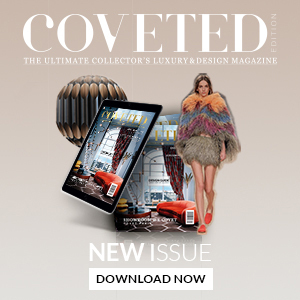 The lighting brand will be showing their superb mid-century modern lamps in partnership with Covet Group. Throughout 12-13 November you can’t miss this fantastic booth and their novelties! As usual, DelightFULL is going to bring the best to the table. With its new retro pieces purposefully made to the world of hospitality design here, you can see some of the most dazzling mid-century lamps that will be the trend of the trade fair. Ike suspension lamp has a distinctive but easily recognizable design, ideal for every single mid-century modern interior. With its clean lines, this dazzling lamp is handmade in brass and aluminum and features a glossy black and gold plated finish, representing a high-quality craftsmanship. It is 15 inches tall, but its steel cord can be customizable on purchase, being adjustable up to 39.4 inches. Highly recommended to use with a dimmer switch to cast a smoother light, this modern brass lamp is perfect as a dining room chandelier lighting or to be used in a hotel lobby. Hendrix wall sconce has a round shape that was inspired by a golden vinyl player. Ideal for every single mid-century modern interior, this wall light fixture will bring a smooth lighting effect to your room. 100% handmade in brass, Hendrix showcases a high-quality craftsmanship. With a gold plated finish, this wall light has an avant-garde design perfect for modern and contemporary environments. For this mid-century modern wall sconce you have three G9 incandescent bulbs 40W included. These three symmetric light sources cast a perfect caustic phenomena reflected that gives life to any living room decor, restaurant and bar.